Citrus fruits are every bit as versatile as life itself and their ingredients are said to work wonders. Universally usable – in body care products, as a natural health remedy and, of course, in fine cuisine – these super fruits are seen very much as the stuff of life. Here are a few important facts about our favorite fruit. Our daily vitamin C requirement is met with 150 grams of fresh lemon juice. However, besides the well-known vitamin C, lemons contain many other vitamins, minerals, and trace elements. 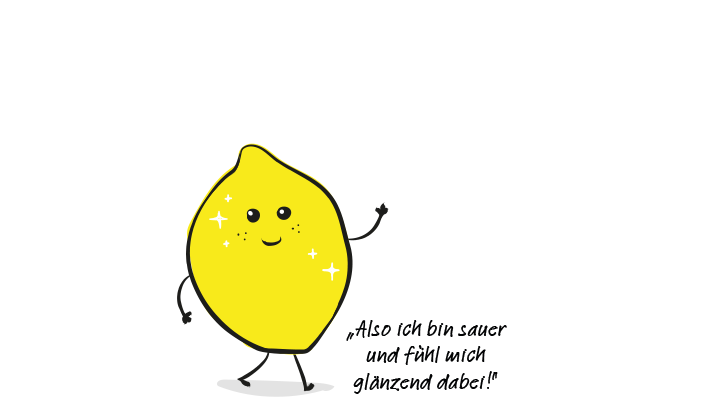 In fact, a lemon’s most important ingredients are far too many to count on one hand – or even two! With vitamin C, vitamin B1, vitamin B2, vitamin B3, beta-carotene, vitamin K, folic acid, potassium, magnesium, phosphorus, calcium, sodium, iron, nickel, zinc, copper, manganese, and selenium, lemon juice packs a serious punch. Is said to kill cancer cells. Valuable lemon oil is an important component of lemon peel. Lemon oil components increase the activity of detoxification enzymes that are said to help prevent cancer – and colon cancer in particular. Citric acid is a relatively mild acid. The citric acid content in lemons or limes is relatively low at around 7 %. When ingested in the form of food and drink, citric acid stimulates the glands of the stomach wall, in turn stimulating gastrointestinal activity and increasing our feeling of well-being. Probably the best known vitamin of all, vitamin C strengthens our immune system. In other words, it builds up the body's defense against germs, viruses, bacteria, and those free radicals that endanger our health. Vitamin C is responsible for protecting our immune system and keeping our self-healing forces intact. As our bodies are not able to produce vitamin C for themselves, it must be ingested every day in the form of food. Your hair, skin, teeth, and nails will thank you. Drinking lemon juice leads to wonderful skin, strong nails, healthy teeth, and lustrous hair. Just a few drops of lemon juice before applying your daily hand, body, or face cream has a wonderfully rejuvenating effect. More about the wondrous powers of lemons can be found in the book “HEILWIRKUNG DER ZITRONE” (The Healing Power of Lemons) by Doris Benz and Siegrid Hirsch, published by Freya Verlag. 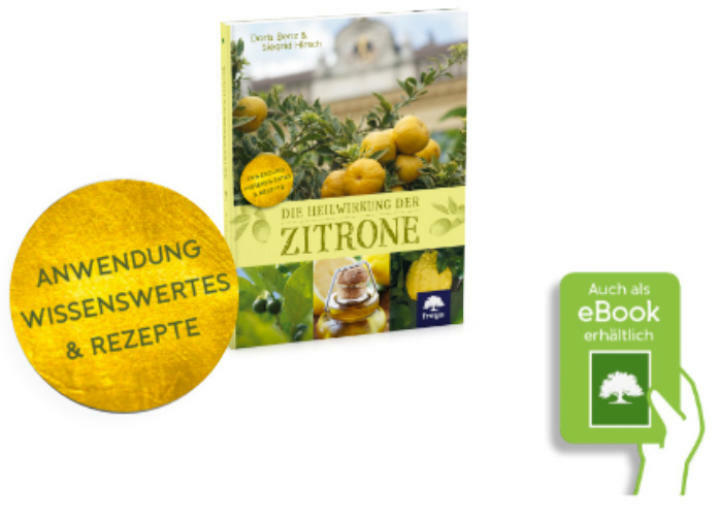 *All of the information cited here regarding the versatile effects of citrus fruits is taken from the book “HEILWIRKUNG DER ZITRONE” (The Healing Power of Lemons) by Doris Benz and Siegrid Hirsch, published by Freya Verlag (in German only). Please understand that we can therefore assume no responsibility for the correctness and accuracy of the explanations provided in the extracts reproduced here. Thank you!